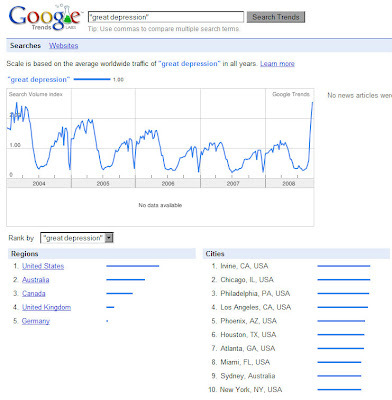 Google Trends gives tells us this about people searching for "Great Depression". Leading depressed cities: Irvine, Chicago, Philly, LA, Phoenix, Houston. Wait, that's where all my friends live.